Way More Than Museums and Shopping! There are plenty of sights around Vancouver to keep you amused. There are things to see do to keep you busy for days... in the city and the surrounding countryside. Explore and enjoy the wildlife, not just the nightlife and shopping and museums. If you want to get out on the water, you could take a "sea safari". There are tour companies that use high speed boats to take you to to see cliffs, caves, islands and wildlife in the harbor. Look for seals and bald eagles. If you want a more sedate time on the water, take a harbor tour. 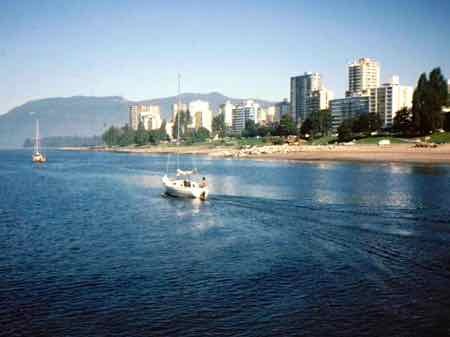 Cruise past Stanley Park, the Lookout tower, Lions Gate Bridge, Gastown and the North shore Mountains. It's a great way to see the city's skyline. Go for a lunch cruise on an authentic paddle-wheeler on the Fraser River or take their cruise to historic Fort Langey. 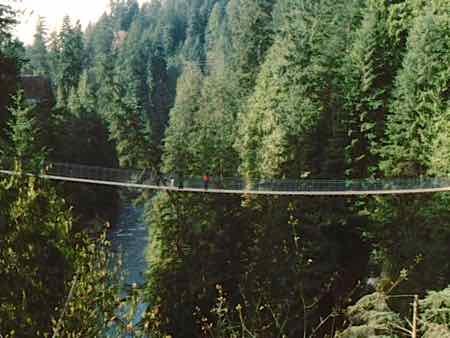 See the Capilano Suspension Bridge. It's only about 10 or 15 minutes from the city by car, but you'll feel a world away. What's so special about a bridge? 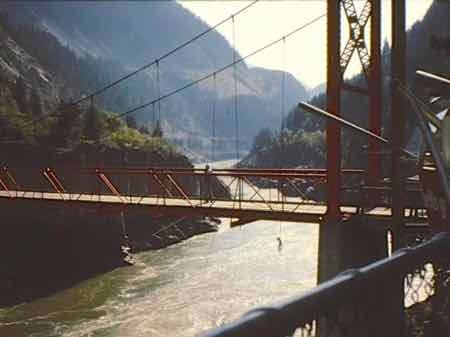 It's a suspension bridge.... you walk... or wobble across 450 feet of it hanging 230 feet over the river. You can spend just an hour or so to walk the bridge, explore a bit, and admire the scenery. If you have more time, you can spend the day at the Cultural Center, their Treetops Adventure, and the Living Forest exhibits. Sure. Visit the wine country of British Columbia. See the wine sights around Vancouver which include the designated viticultural areas of the Vancouver Island Regions, the Gulf Islands, and the Fraser Valley region. If you choose to do this with a tour company, you won't have to worry about tasting too much or choosing a designated driver. Take a day trip to Harrison Hot Springs. It's about a 90 minute drive east of Vancouver by car. Enjoy the small town and take a soak in the hot springs. There are several museums in and around Harrison Hot Springs. Visit the Hell's Gate Gorge and see it from a gondola dangling over the rapids. This is best visited on a tour or by rental car. It's about two and a half hours from Vancouver along Highway 7 and the Trans-Canada Highway. Need more to keep you busy? Take a tour or a drive to Whistler. Whistler Blackcomb was the site of the 2010 Winter Olympics... and that only added to the reputation of Vancouver and Whistler as winter destinations. Whistler has been a popular destination winter or summer. ...or take the scenic train from Vancouver to Whistler. By train you'll see the rugged Pacific Coast mountains, Canadian "fjords", and waterfalls. You'll pass by the Capilano River, Horseshoe Bay, and Howe Sound. It's about three hours each way. Whether you choose public transportation, trains, buses, boats, tours or your own rental car, get out and explore the sights around Vancouver.